A recent report by Reuters has revealed that the Singapore government is following up on complaints of unfair employment practices in its financial sector. The Ministry of Manpower (MOM) is in the process of investigating companies based on feedback that some managers in the sector prefer to hire people from their own country instead of Singaporeans. Singapore work visa specialist Rikvin applauds this move, and recognizes it as a necessary step to address hiring discrimination, level the playing field and create quality growth for Singaporeans. Analysis by Rikvin shows that half of the complaints received by Tripartite Alliance for Fair Employment Practices (TAFEP) last year were regarding workplace discrimination against Singaporeans. At the Committee of Supply Parliamentary Debate last week, Acting Manpower Minister Tan Chuan Jin announced that MOM will take a firmer stand against employment inequalities and discrimination. He also urged that companies comply with the Tripartite Guidelines on Fair Employment Practices when assessing candidates as well as put in place a framework to deter and punish any unfair hiring actions, on pain of losing their work pass privileges. The ongoing audit is testament that Singaporeans are not just blowing hot air when they raise concerns about workplace discrimination. However, it is commendable on the part of the government to address these issues and ensure that this framework and a system of checks and balances are in place so that errant managers do not get away with unfair hiring and workplace practices. 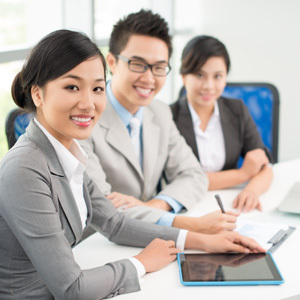 The Tripartite guidelines, which were issued on October 2011, was established to ensure that Singapore workers are not marginalized in their own country and are presented with a more level playing field to compete for jobs as well as development and promotion opportunities based on merit. Analysis by Rikvin shows that the financial sector is facing scrutiny now as it employs approximately 6% of Singapore’s workforce and contributes to 12% of its gross domestic product (GDP). In addition, data from MOM shows that the sector’s new Singapore employment passes has increased more than 2.5 fold within a decade – from 3,300 in 2001 to 8,700 in 2010. “The ongoing audit is testament that Singaporeans are not just blowing hot air when they raise concerns about workplace discrimination. However, it is commendable on the part of the government to address these issues and ensure that this framework and a system of checks and balances are in place so that errant managers do not get away with unfair hiring and workplace practices,” Ms Christine Lim, General Manager of Rikvin. “At the same time, we do understand that some policymakers are afraid that Singapore will no longer be attractive or continue to enjoy its economic success if it holds the rein too tightly on hiring regulations. Our view is that companies should add value when they place themselves in Singapore and by that we mean, they should consider candidates based on their merits and skills and not merely dismiss Singaporeans in favor of cheaper labour or people who share the same nationality,” added Ms. Lim. “We also reject the common notion that Singaporeans are not skilled enough. This is a generalized and unfair statement that has been repeated ad nauseum and has been masquerading as a fact to justify unfair hiring practices. This is dangerous as it has set an unfair perception in the minds of many employers, and has marginalized Singaporeans from a fair competition. As a result, Singapore now grapples with uneasy xenophobic sentiments and sociopolitical tensions. If we truly care about our economic success and image as an inclusive society as well as Asia’s business epicenter, we should put people first; because without their support, our riches would be meaningless,” Ms. Lim affirmed. Today, approximately 40% of Singapore’s 5.3 million population is made up of non-Singaporeans or permanent residents. In 2000, non-Singaporeans formed 25% of the 4 million population.